Provided photo Pictured are Nicholas Wanamaker, President Vukovic, and Jacob Miller. TIPP CITY — Virginia Potter Superintendent of Bethel Schools updated the Rotarians at the June 10 meeting. She noted that the $22 million levy is allowing for the renovations at the high school, and that the community supported the schools by passing two renewal levies. Currently the Bethel School system has approximately 1130 students. 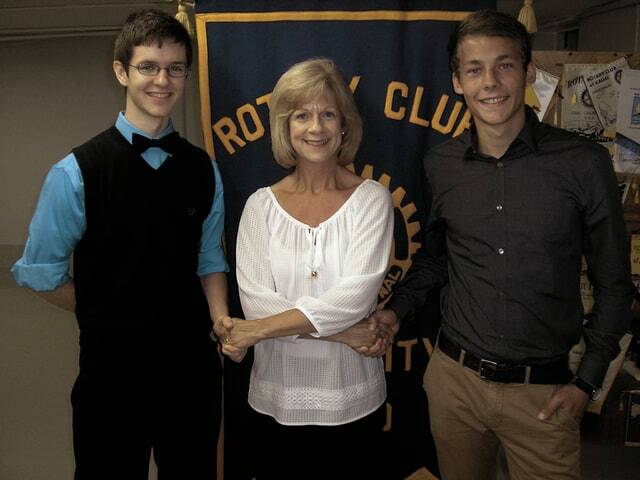 2014-2015 Rotary President Kathy Vukovic introduced Jacob Miller (THS student) and Nicholas Wannamacher (Bethel student) who along with Rachel Herrick (THS student) all received the Rotary $1,000 renewable (for 4 years) scholarship. Congratulations to the Scholarship recipients!